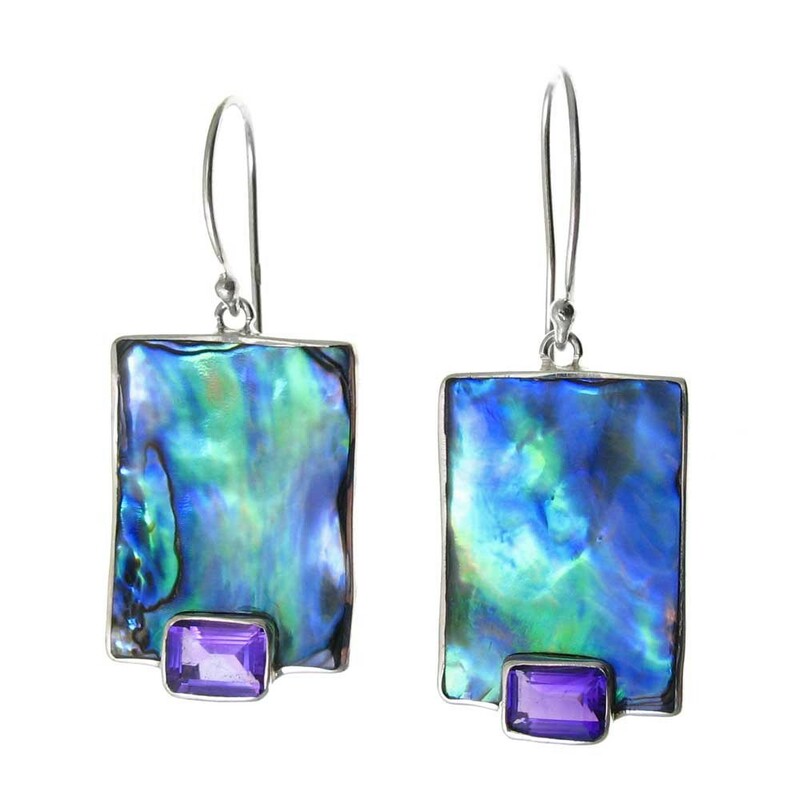 Our paua shells are harvested along the coastal waters of New Zealand along the rocky shorelines. There are a dozen grades of paua shells but our designer only uses the very top grade in their handcrafted jewelry made in Bali. The flashes of greens and blues throughout the shell will remind you of the finest gem opal. Our sterling silver drop earrings on comforatable French wires also have a matched pair of genuine one carat amethysts.